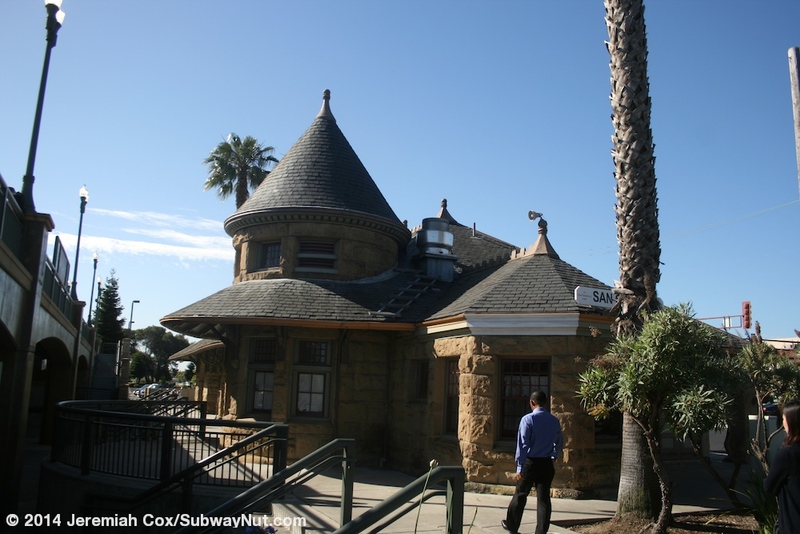 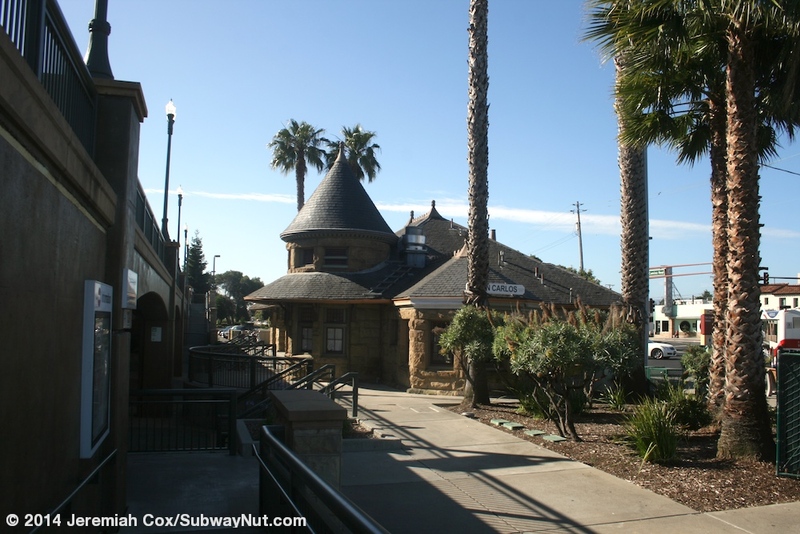 San Carlos has a 1888 exceedingly rare for California (plenty of stations like it are found back East) small, stone Richardson Romanesque Revival depot. 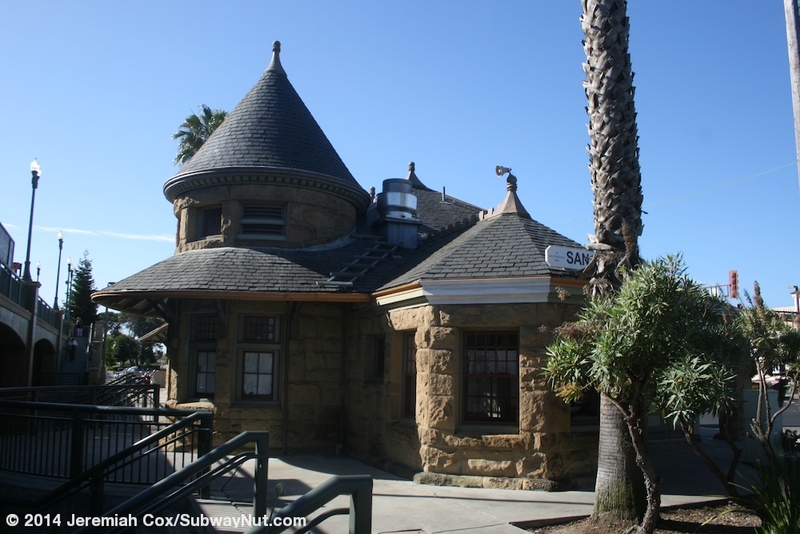 The station lost its SP ticket agent in 1960 and was declared a historic landmark in 1976. 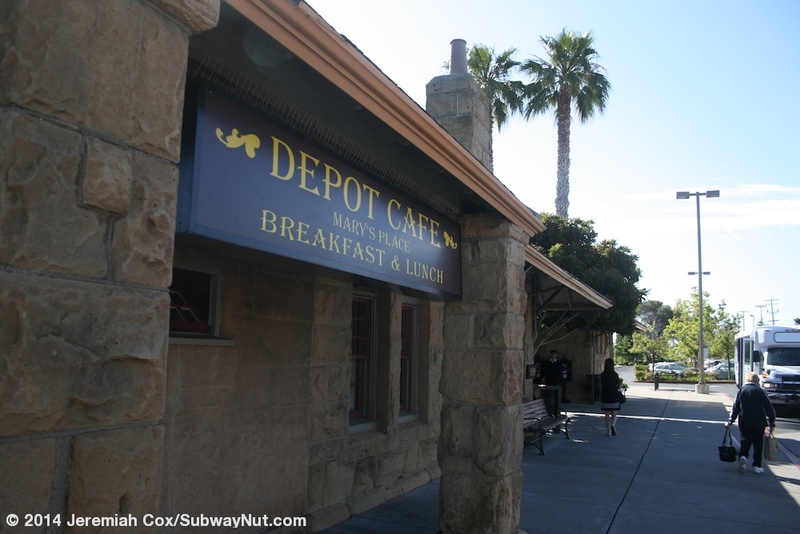 Today it is occupied by the Depot Cafe: Mary's Place Breakfast & Lunch. 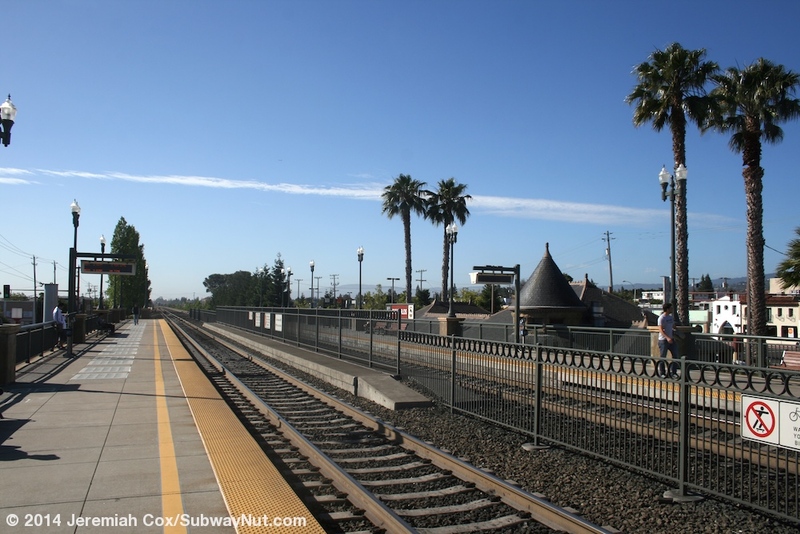 The tracks and station were raised onto a concrete embankment/viaduct in front of the depot in 1999 as part for the grade separation project for Holly Street just beyond the northern ends of the station platforms. 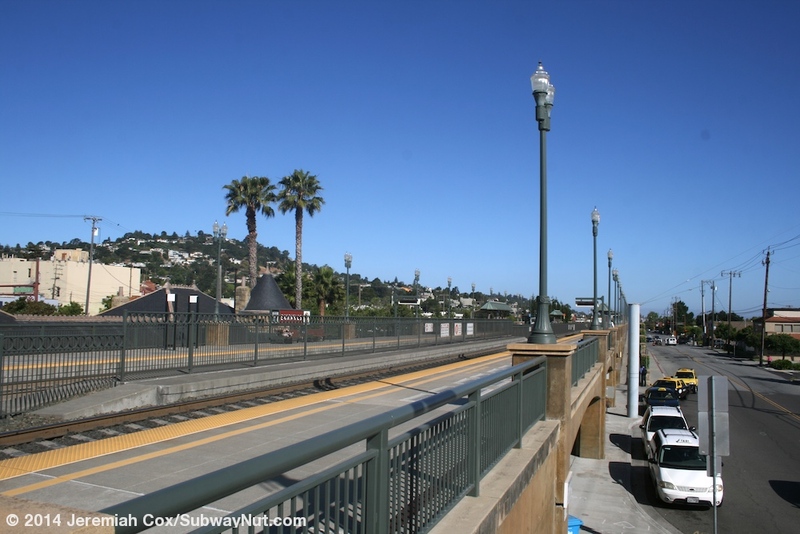 The two side platforms for the two track line today are elevated with green fencing and green lampposts. 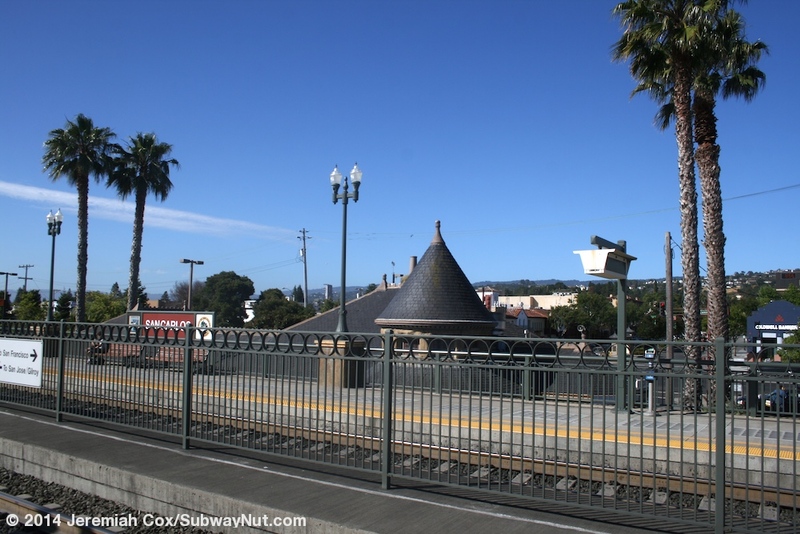 Two modern, wide green and glass canopy structures provide shelter to the TVMs and benches. 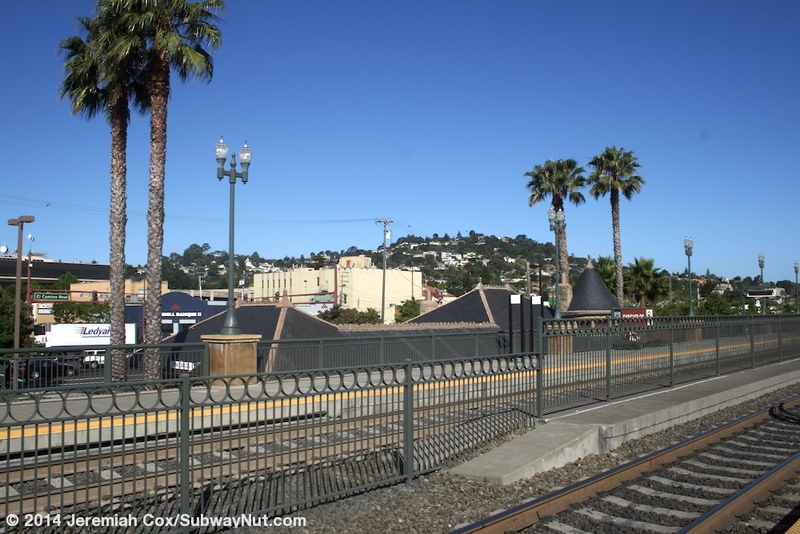 The middle of each platform has a mini-high platform for the new Bombairdier Bi-Level cars along with the usual meshed off wheelchair lift and blue wheelchair bench under a canopy. 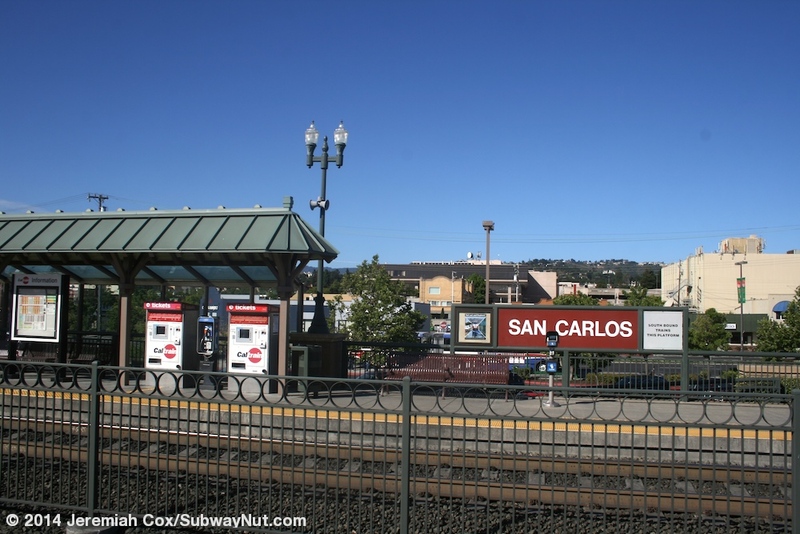 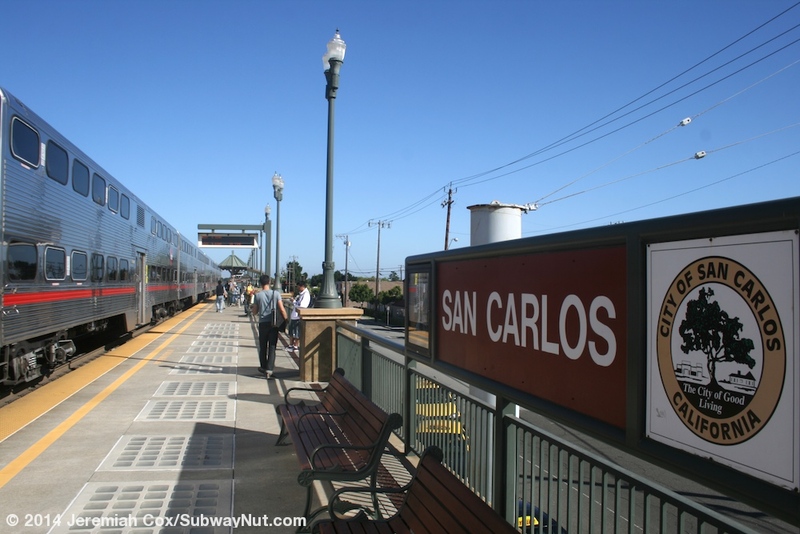 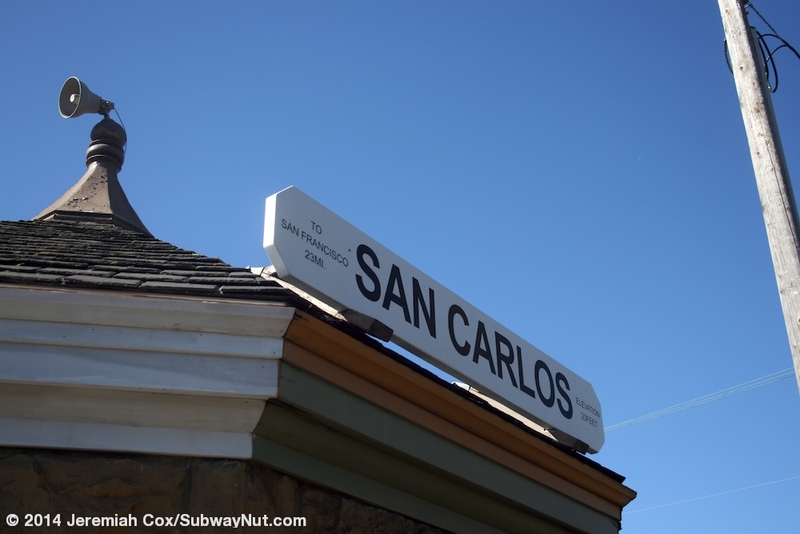 Station signs are unique with San Carlos written in red in the middle and white squares with the seals of the City of San Carlos and one with more particial information, North(or South) Bound Trains this Platform. 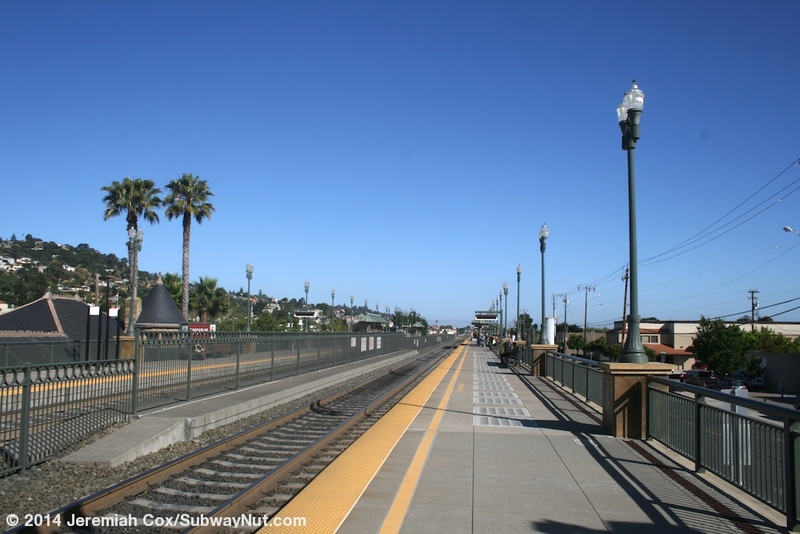 To leave the platforms, each has two staircases and a longish ramp down. 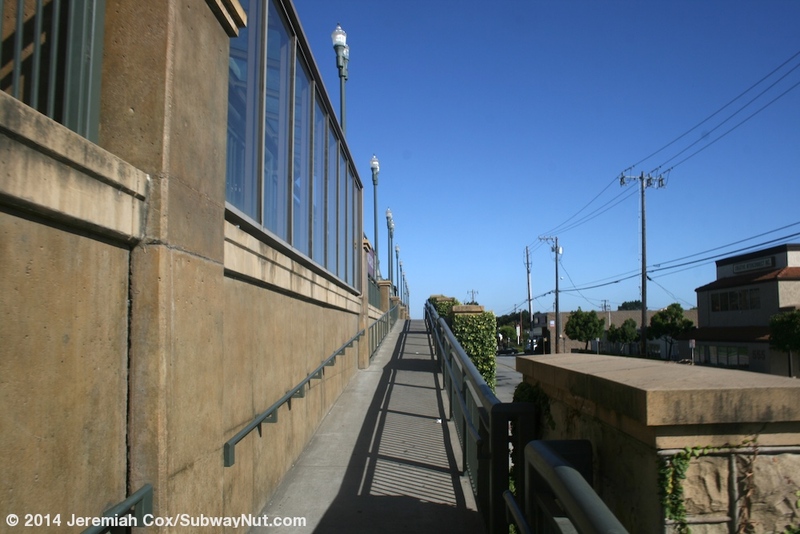 These mainly lead to a wide subterranean plaza beneath the tracks towards the southern end of the station that has its own steps and ramps to get down to from street level since the line isn't high enough elevated at this point as the station is on a slight incline as it rises from street level to overpass level. 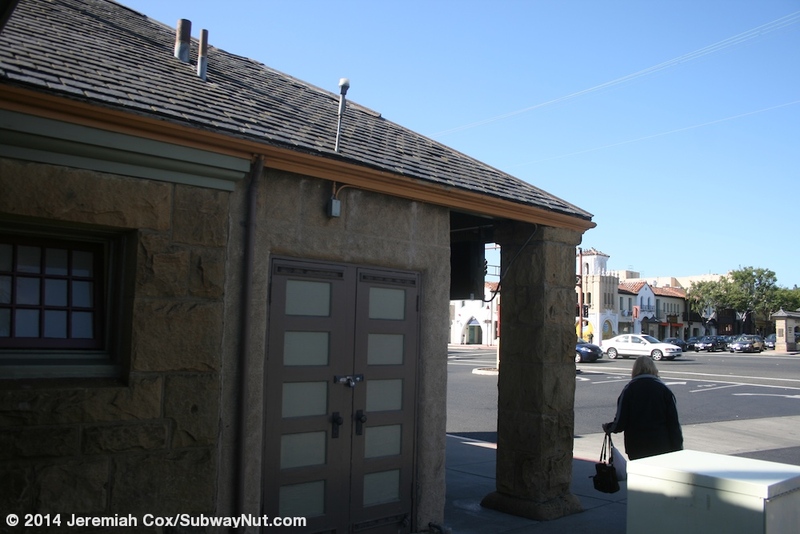 Along the San Jose-bound side of this plaza is the historic station house whose roof is barely visible from the modern, higher platforms. 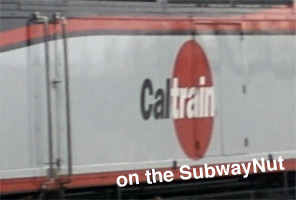 This side also leads out to the stations 212 parking spaces. 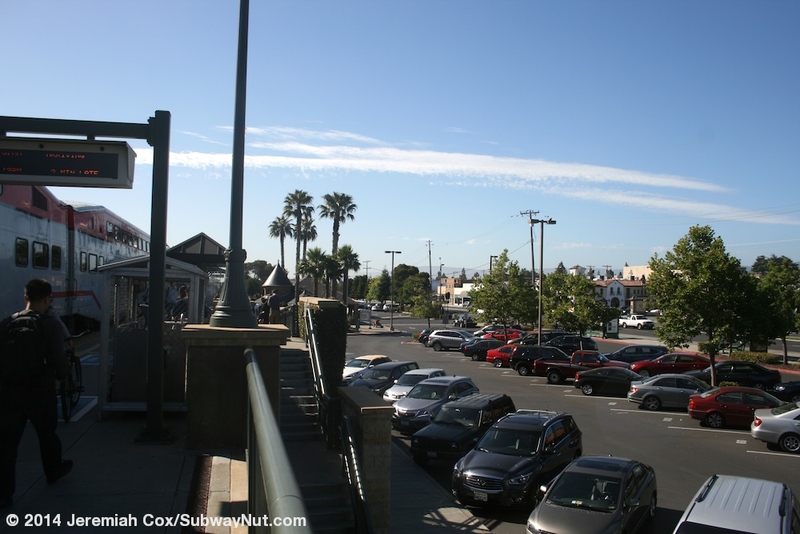 This is a long and narrow lot tucked between the tracks and El Camino Real parallel to it. 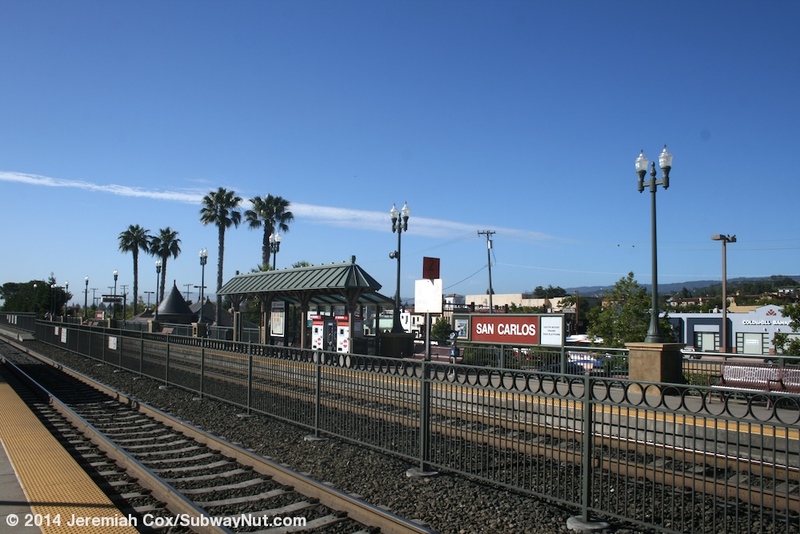 The usual Caltrain station parking entrance sign is next to an El Camnio Real bell. 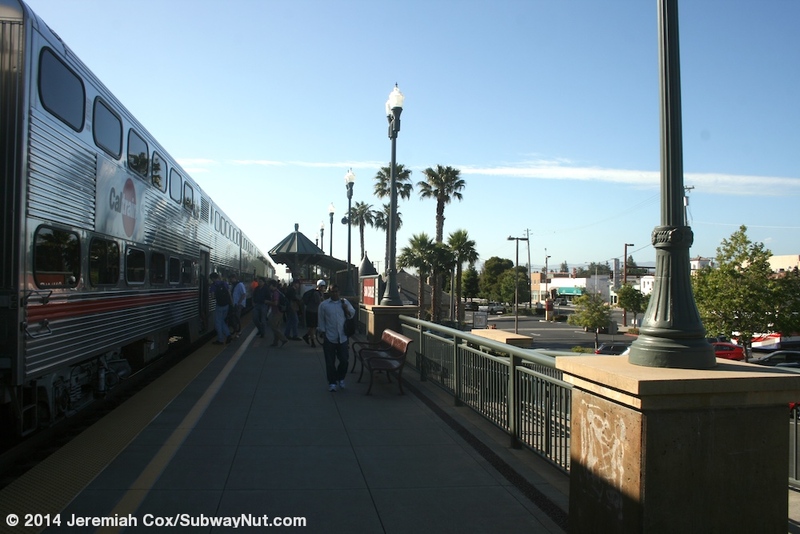 The San Francisco-bound platform is directly parallel to Old County Road with ivy growing up the railroad embankment. 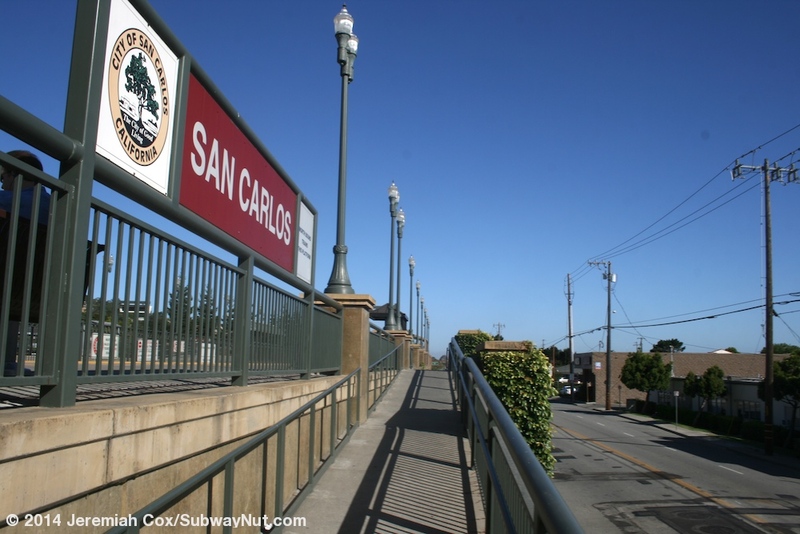 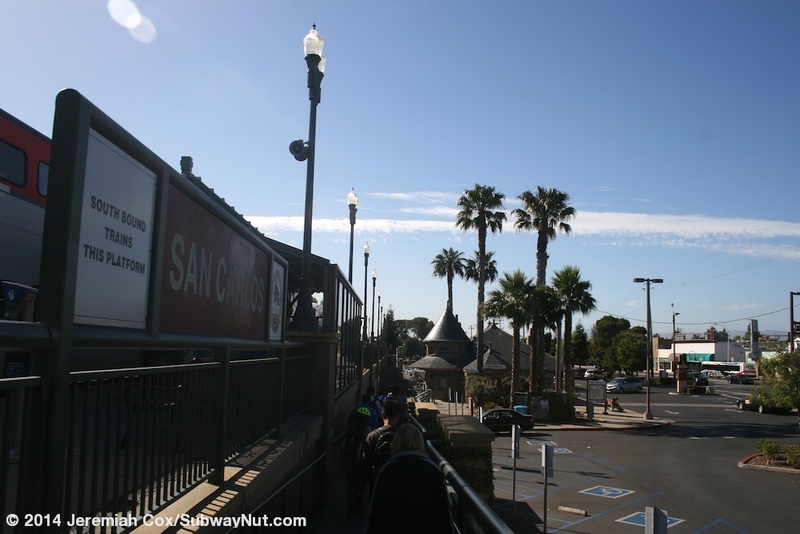 The underpass splits San Carlos Avenue into two separate sections. 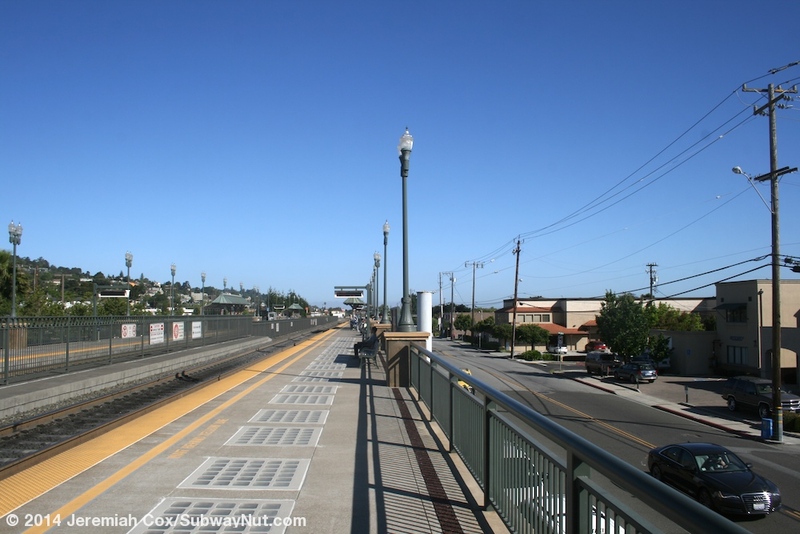 McCue Avenue ends at Old County Road across from the middle of the station platforms.